From the vivid colours and arid beauty of the Sossosvlei area we will travel through the wilderness to the wild Atlantic Coast and on our way marvel at the herds of springbok and Oryx that make this area their home. Our destination is the old coastal town of Swakopmund which today is a bustling small city but one that retains its German colonial past. We will have three days here to fully appreciate the beauty of this surprising area and to fully explore the old sections of town and make the most of excellent sea food dining. We leave the Atlantic Coast and head back into the dry interior of Namibia to a special destination at Okonjima Game Reserve and the famous Africat Project. For two nights we will stay at Plains Camp and have the opportunity to track leopard, cheetah and even hyena, this is a truly unique opportunity. You will also learn about the Africat rehabilitation and research project and you will be given the chance to visit their centre and get close to cheetah that are in rehabilitation. 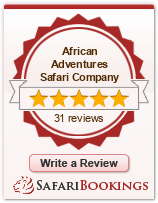 From Okonjima we will travel to a truly amazing national park and vast wilderness area, Etosha. This park is amazing in that it appears at first sight to be too desolate to support wildlife but these concerns are soon put to rest once we reach the first water hole. Etosha supports a vast number of animals and owing to the open nature of the terrain they are often easy to see and get close to. Etosha is home to the majestic “King of The Beasts”, the lion, and we have a better chance of seeing these huge predators than in most other parks in Southern Africa. There will be surprises as well because springbok are in vast numbers and the elusive, and rare, black rhino is still to be found. In total we will spend five nights in Etosha as we travel through the centre of the park but a highlight will be the three nights we will spend at the spectacular “Fort” at Onguma Reserve. This grand safari lodge is one of the most stunning in Africa and it is designed in the style of a Moroccan Palace. Each room is huge and is more like a suite than a simple safari room. Each of these “safari suites” has its own balcony overlooking Fisher’s Pan and you will dine by candlelight at night under the central tower. A visit to “The Fort” would be a highlight of any safari. After fully exploring Etosha we will head north to the border of Namibia and Angola and then travel East across the infamous Caprivi Strip. While in the centre of The Caprivi we will have the opportunity to stay at Mazambala Island Lodge which is nestled in the waterways of the Kwando River and will provide a stunning contrast to the dryness and open plains of the rest of Namibia. From Namibia we will cross into another of Southern Africa’s top safari destinations, Botswana. 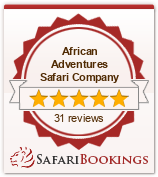 For two nights we will be based in the Chobe River region staying at the beautiful Chobe Safari Lodge. At this time of year The Chobe has one of the highest concentrations of wildlife in Africa all in a relatively small area and as a result the lion and leopard follow. Anything is possible in The Chobe area but of course we are dealing with wild animals so nothing is guaranteed. Here we will be able to go game viewing both by land and on the waterways of The Chobe River, a truly relaxing and fun way to encounter wildlife. At our next destination we will swap wildlife for ‘wild times’ as we hit the adventure capital of Africa, Victoria Falls. After a visit to these magnificent World Heritage listed falls you will be able to spend your time doing as much or as little as you like. The town of Victoria Falls has a vast array of activities to participate in and these range from the world’s best white water rafting through to elephant back safaris and walking with lions. Add to this the best native crafts and curios to be found in Southern Africa and you will have trouble finding time to do everything. It will be from Victoria Falls International Airport that you will fly to Johannesburg in Cape Town for your connecting flights home.